Dennis Husch for Dranesville kick-off! 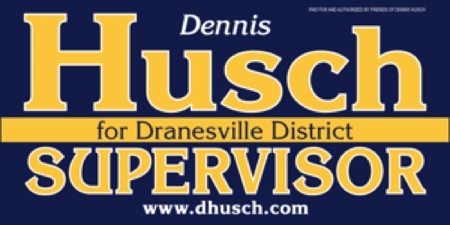 Former Herndon Town Council member Dennis Husch is running for Dranesville Supervisor! His campaign kickoff will be on Tuesday, January 18th at 7:00 pm at the home of Gerrie and Bill Smith, 7916 Old Falls Road in McLean. RSVP to campaign@dhusch.com or at 703-709-5404. Refreshments will be served. Visit the campaign website at http://dhusch.com for more information. Dranesville District includes: Herndon, Great Falls, and McLean, as well as parts of Falls Church and Vienna. There are two precincts in Dranesville that are in the 8th District: Pimmit and Westhampton. The event invite is below. This entry was posted in Campaigns, Events and tagged Dennis Husch, Dranesville. Bookmark the permalink.